I know, this seems like it should be a Terrain Corner type of post. But by the time we get to Thursday, it'll be all over. So, if you want to get yourself some free terrain from Corvus Belli and Plastcraft, you'd need to go and get your name put in the hat today. We draw 1 MeteoZon Research Center and 1 Sahn of the Sultanate buildings by Plastcraft Games! 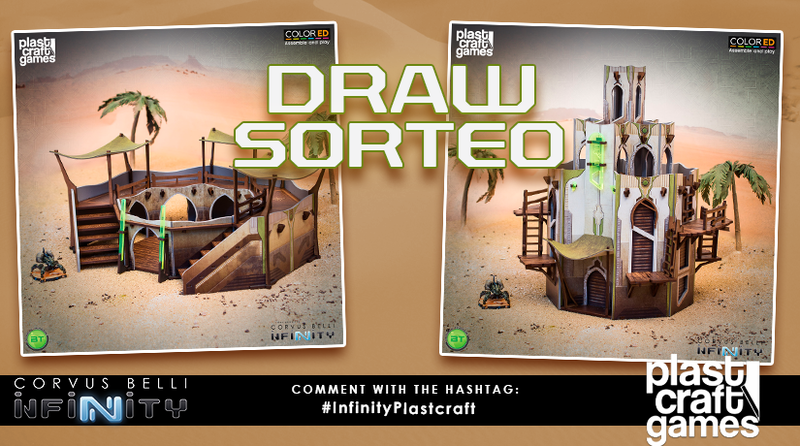 To participate, you just need to comment on this Facebook post, or on Twitter using the hashtag #InfinityPlastcraft answering the following question: “Why do you want them for your game table?” Everyone who posts a comment during today, February 20th, will participate in the draw. We'll announce the winner (February 21st) Good luck to everyone!